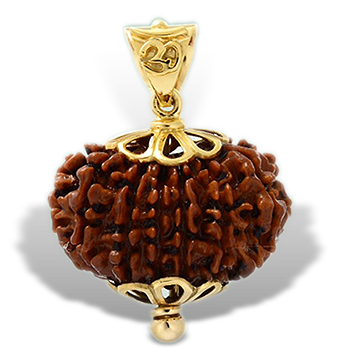 Rudraksha is a talisman ruled by Rudra, Lord Shiva of the Hindu Trinity, and His Divine Shakti (power); and the blessings bestowed on Rudraksha wearers are directly the blessings of Shiva and Shakti. Also, much research over ages has shown that certain number of Rudraksha seeds are also influential on particular astrological planets, such as one face Rudraksha influences Sun, and two face Rudraksha influences Moon. And following this same logic it could also be said that Rudraksha most probably relate to planets according to their number of faces. So there are basically two planetary considerations when using Rudraksha, viz., the colloquial and the numerical. We give both considerations below for your interest. NOTE: Anyone, man or women, who is lucky enough to get a Rudraksha is qualified to wear it, and no one else. Om Tat Sat!!! 1. Eka-mukhi (One face-round) –Genuine one-face round Rudraksha is rarely available at any price. And obtaining a clear identification is quite difficult. AGT has never supplied one. 10-faced or 12-faced Rudraksha are the best alternative seed for Surya, the Sun. 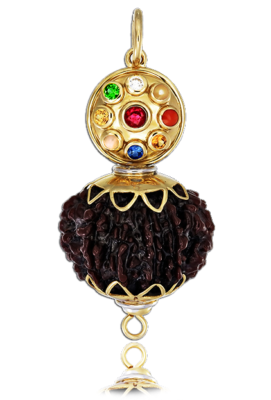 Although nothing can be a substitute for a round Eka Mukhi Rudraksha. The picture shown is genuine and owned by a private collector. 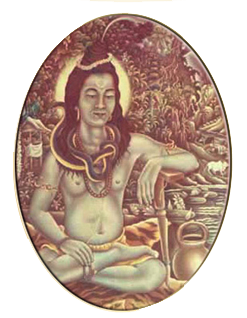 Shakti: Hanuman personifies knowledge, virtues, dexterity, speed, bhakti (devotion), dedication (Sri Hanuman once rejected mukti or voidism in favor of Lord Rama’s eternal service), and extraordinary abilities – these virtues are attained by one who wears an eleven faced Rudraksha. Note: At AGT we provide various faced Rudrakshas set in our numbered and dated Talismans – such as the 10 mukhi Rudraksha combined with the Nine Gems pictured above.